Lottie Dolls have been on our radar for a while now. 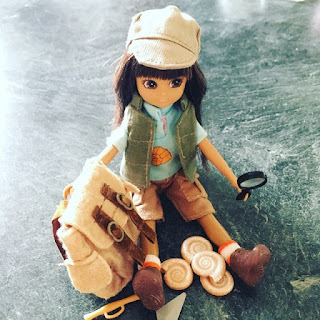 We first came across Fossil Hunter Lottie in the shop at The Natural History Museum in London and loved the concept of dolls that are fun yet educational. Then we discovered that Puffin had released a series of books featuring Lottie, Finn and some of their friends. So, when we were asked to review Lottie Dolls, we happily agreed because we just couldn't wait to read with Lottie! If you take a look at the full Lottie Doll collection you will see that there are boy and girl dolls, as well as dolls with different hair and eye colours and skin tones. There is also a whole range of different accessories, so your doll could be anything from a ballerina to a fossil hunter. He or she could go fishing, ride a scooter or even gaze at the stars. The vision behind the dolls is that childhood should be an inclusive place and Lottie Dolls are designed to empower children to be themselves. The tagline Be bold, be brave, be you! is therefore very fitting. 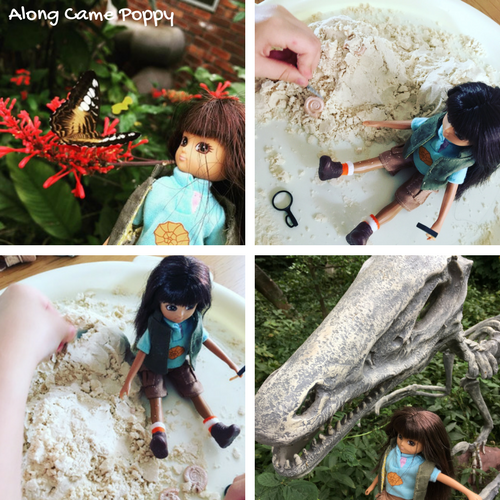 Lottie met some butterflies and dinosaurs, as well as having her own fossil hunting adventure using cloud dough at home. 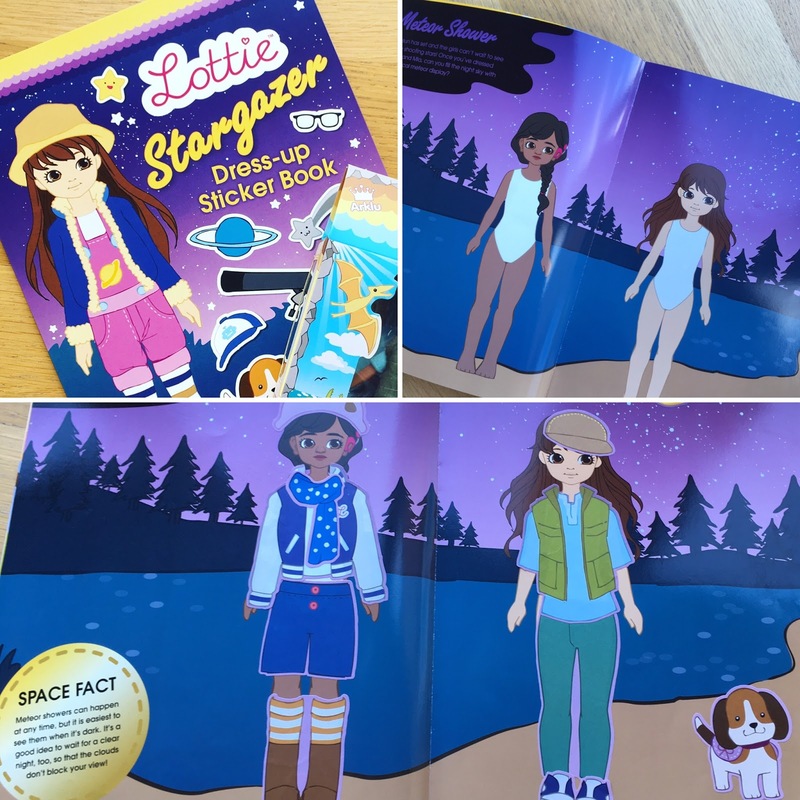 Lottie Stargazer Dress-up Sticker Book (RRP: £6.99) is a fantastic high quality space-themed sticker book with over 400 reusable stickers. Join Lottie and all her friends on their adventures as you dress them up whilst learning lots of fun space facts. Lottie is on a quest! There is a mysterious beast on the loose on Branksea Island, and Lottie, Mia and Finn are determined to find it. But what exactly is this strange creature leaving footprints in the woods? Can the Branksea Adventurers' Club solve the mystery? Mini Reviewer, Izzie enjoyed following the familiar characters on their adventure to find the Branksea Beast. She particularly liked the twist at the end, which highlights the importance of conservation and protecting wildlife. Another chapter book, Lottie Braves A Storm, has just been released as well as an Adventure Journal, we look forward to reading these very soon! Lottie has been a absolute hit in this house and we are already lining up accessories to add to our collection. We particularly like the look of the Brownie collection. As well as the new Lottie books of course! You can take a peek at the full range here. 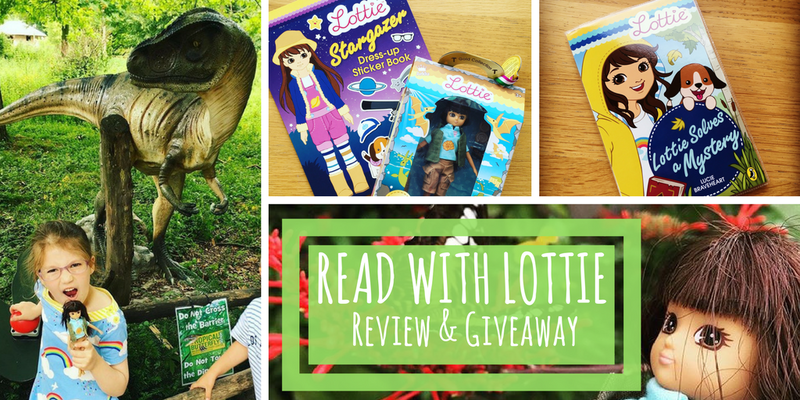 and if you would like to win a Fossil Hunter Lottie Doll you can enter the giveaway at the end of this post. Good luck! Please note: Email details of all entrants will be collected by the competition host and shared with Lottie Dolls but not 3rd parties. By entering this competition you are confirming that you agree for your email address to be shared with Lottie Dolls. 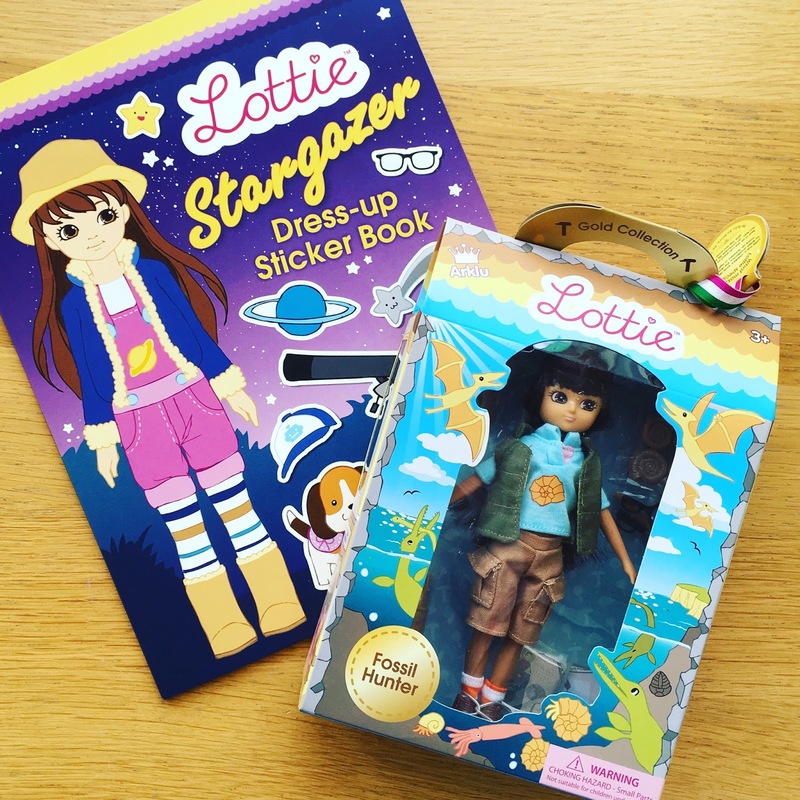 * We received a copy of Lottie Stargazer Dress-up Sticker Book and a Fossil Hunter Lottie Doll for the purpose of review. All opinions are as always our own. This post contains affiliate links. I will love to win for my daughter. She loves dolls. Lottie looks just perfect. This sounds great, something my 6 year old would love to play with and explore with. We really like Lottie dolls because they're so relatable. I would love this one to encourage my 5 year old daughter to continue playing outside. She doesn't need any help with that right now, but I do worry that she might be encouraged not to in the future. my grand daughters b' day is coming up. i want to give her this doll as a present. I would love to win this for my daughter who loves Lottie! My girl adores Lottie Dolls and would like another to add to her collection. I would love to win this for my daughter as she loves to collect pebbles and shells, and look for fossils on the beach. She looks adorable and she could bring lots of fun to our house. I'd give this to my niece and she'd love it. My daughter loves dinosaurs and dolls so this would appeal to her so much! My daughter would love it! I think they are such good role models for children too. I would love to win her for my niece,she looks really cool with her little rucksack and magnifying glass. My girls would be super excited to win this. We have one who is very keen on dinosaurs and fossils and would love this one in particular. I collect dolls. Simple as that really! I would love to win a Lottie Doll as a treat for my niece. I'd like to win because I love these dolls - so cute! My daughter loves dinosaurs and is starting to learn about fossils. This doll would be an inspiration for her. It would be perfect for my seven year old who has made a fabulous start to junior school! Thanks for the chance, I'd love to win for my daughter. I love Lottie dolls and how age appropriate they are. 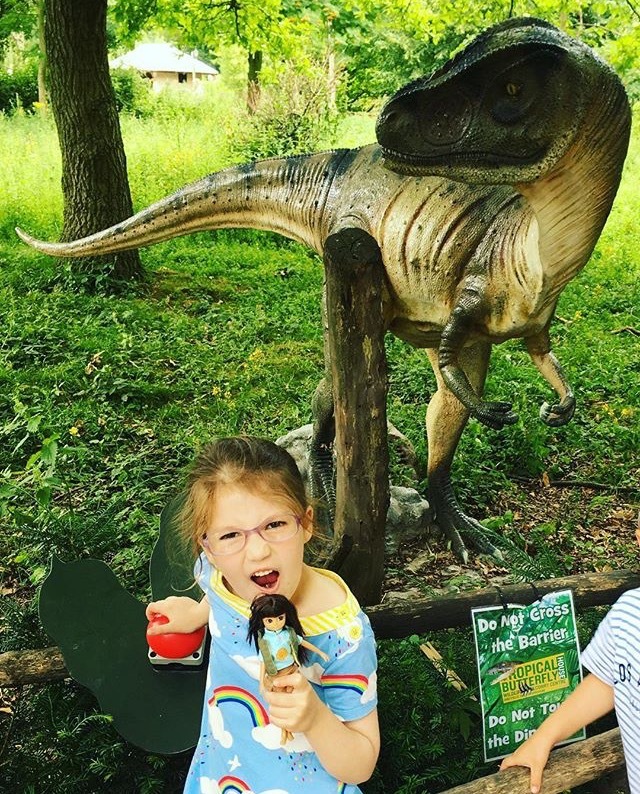 I want to win because my daughter loves dinosaurs. 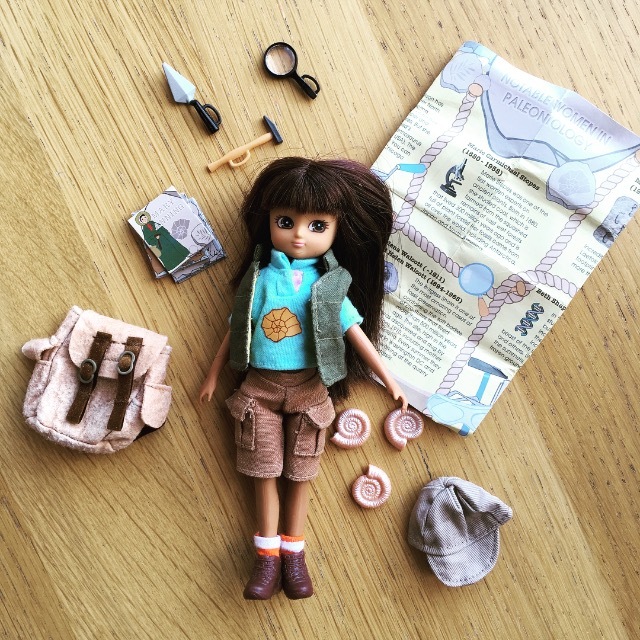 She'd have a great time hunting for fossils with the Lottie doll! I'd love to go fossil hunting! I love the look of these Lottie dolls (I've never seen them before!). Dolls that empower children to be themselves definitely get the thumbs up here! I would like to win because my children love exploring, they would love to take Lottie on their adventures with them. I would like to win this for my daughter who would absolutely love her. SHe's really cool and I have wanted one for my daughter for ages!! We love the styles and activities that the Lotties have and I love that they are age appropriate for a little one. My daughter is just getting into Dolls, I think these are great role models. My name is Charlotte - my mum calls me Lottie and i am a geologist so i guess i am a fossil hunter ... actually i work on computers and its boring BUT it could have been me in a more jobs available kind of life! I would love to win for my daughter, lottie dolls are a lovely alternative to a Barbie doll. My son has been saying recently he wants to be a 'fossil finder' when he grows up so he would adore this! I'd like to win it for my niece. She is just starting to play with dolls. We've had our eyes on Lottie dolls for a while now... so thrilled they have books! I'd like to win this Lottie Doll for my niece, she loves digging around in the garden! because it would be a great treat for my little girl as she likes to play with dolls. I would love to win her for my niece and get them exploring with Lottie. For my great niece who loves dinosaurs and anything to do with them. She would love this..
Because BooKBairn is really called Lottie!! A lovely present for my cousin's girl, Lottie shows girls and boys can do anything. My brother used to want to be a fossil hunter and would dig up just about anything! I think it's great that they are realistic and relatable dolls to children. I would love to win this for my daughter as it combines two of her favourite things. My daughter loves Lottie, I didn't know they did books too, we must get some! I keep meaning to show her the brownie collection too, since she is a brownie. Lottie Dolls seem like great dolls for children. Great for encouraging them to make use of their imagination as well as aspirations. As seem to show a variety of hobbies, as well as possible careers. Have friend who trained in Archaelogy, niece would love this doll to play with. Amelia loves beachcombing and Lottie dolls. The girls have been asking for Lottie dolls for some time. I said Santa might bring them one. This Lottie is particularly lovely. My daughter would love her! They could go on adventures together! Id like to win this for my daughter who is mad for dolls at the moment, they look very different to other dolls you can get and this is great. During the summer we had a day out in Wales, on our trip we found lots of fossils, my Daughter enjoyed it so much we had to bribe her to leave! She'd love this doll! I have a four year old daughter who is dolly mad at the minute. I would love to win this Lottie doll for her. Oh these look awesome. How cool is Lottie? Thanks so much for linking up at #KCACOLS. Hope you come back again next time. ari loves lottie, she would love this. I would love to win for my cousin, she is home schooling her two little girls so this would be a great way to bring a new subject in! I'd love to win this for my friend's little girl. I'd like to win for my niece who loves dolls and reading. I would love to win this for my granddaughter who loves Lottie dolls. 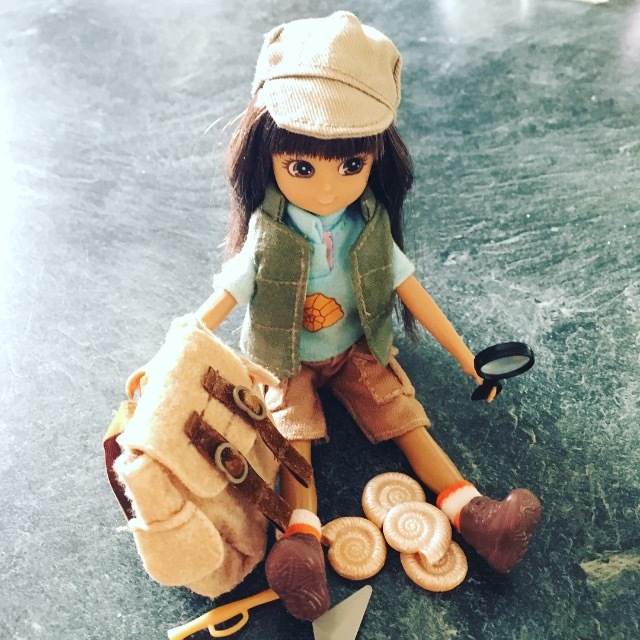 I know three little girls who would love to have their minds expanded by a thinking girls doll and Fossil Hunter Lottie is perfect for the role. My daughter loves dolls, so would love to win from her. I have a degree in Ancient History so I would love to promote history to my daughter! I would love to win for my niece who adores dolls! my niece has lottie dolls but not this one! for a very special little girl also called Poppy, who isn't mine but my new daughter-in-law's niece. And she's so gorgeous. I would love to win this Lottie Doll for my little girl. I love the way Lottie looks her age and reinforces normal characteristics. Because she's very like a doll i had as a child & my one had all the little items like school bag, pencils etc. Would love for my niece who's Mum died when she was 18 months old. She's very interested in Fossils & collecting stones, so this would be perfect for her. Because it's just like a doll i had as a child which came with all the little things like school bag & contents & has left me with a love for all things miniature. Also because the doll would be perfect for my niece who's Mum died of cancer when she was 18 months old. She loves everything to do with fossils & stones & has quite a collection of them. I would like to win this for my daughter's. We looked for fossils on a recent trip to Dorset so they would enjoy playing with this doll. Would love to win this for my youngest goddaughter - she has just started playing with Barbie dolls but would find this far more entertaining, especially with the accompanying books.